With the Northern Territory Liquor Commission currently considering an application by the Woolworths Group to operate a larger Dan Murphy’s outlet in Darwin, Vicki Gillick from the People’s Alcohol Action Coalition argues the establishment of the new Liquor Commission will mean greater transparency in the consideration of licensing matters. 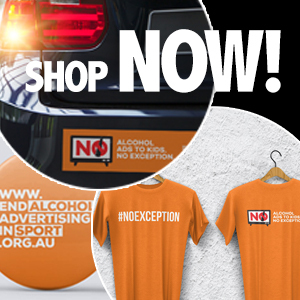 It’s around twelve months since the NT Government re-established a Liquor Commission, in keeping with one of the many recommendations of the Riley review of alcohol legislation and policy. The previous Government abolished the Commission in early 2015, and instead implemented a system whereby the Director-General of Licensing made decisions on licensing matters, without being obliged to hold public hearings, in addition to being responsible for enforcement. This system, as the Riley review pointed out, appeared to lack transparency, and lowered the public’s confidence in liquor matters. There were also concerns raised about the independence of the position of the Director-General. The new Liquor Commission has twelve members, headed by Chair Richard Coates, a long-term legal practitioner, former Director of Public Prosecutions and magistrate. Other members have health, legal, hospitality and community experience. PAAC was pleased to have two of its members, Russell Goldflam and Blair MacFarland, appointed to the Commission, but sorry to lose them from the think tank. There is still a Director-General of Licensing, but it is the Commission, a quasi-judicial body, which is responsible for dealing with liquor licence applications, requests to vary licences, alterations to extend premises, and also complaints in instances where the Director-General considers disciplinary action is justified. An application for a new licence, for example, would still be submitted to Licensing, but would then be referred to the Commission for a decision. The Commission will soon consider the interesting matter of an application by the Woolworths Group to substitute a BWS licence held for one store in Darwin, for a licence to operate a larger Dan Murphy’s outlet in another suburb. A recent example of a complaint to the Commission is the one lodged by Licensing in relation to the Todd Tavern. The Commission found last December that the licensee had breached conditions, noting that alcohol was being consumed at ‘dangerous levels’. A decision is yet to be handed down on what penalty or penalties might apply. The Commission has used its powers, following local consultations, to restrict takeaway trading hours and the volume of alcohol sold in Tennant Creek and the Barkly region. This was done after the Director-General initially introduced temporary changes in February 2018 in response to the high rate of alcohol consumption and consequent violence in the town. The Commission is also currently reviewing takeaway licence conditions in Alice Springs and the surrounding district, following a request from PAAC in September last year. It has taken nearly twenty written submissions, which you can read on the Liquor Commission’s website, and spoken to interested parties, with a decision yet to be handed down. The Commission makes decisions on matters referred to it under the Liquor Act, the law that regulates the sale, provision, promotion and consumption of liquor in the Territory. Under the Act, this must be done in a way that ‘minimises the harm associated with the consumption of liquor’, and also takes into account the public interest. The Riley review panel members found that the Liquor Act as it stood did not ensure that these objectives were achieved, and that the legislation, much amended since 1979, was complex, and in some areas, inconsistent. They recommended that the Act be rewritten to pro-vide a ‘coherent framework’ for the liquor industry, using the harm minimisation principles set out in their report. In short, the Riley review found that the Liquor Act was a bit of an outdated mess that needed sorting out. The Government agreed, and some changes have already been made, with more to come this year. One alteration is that the Liquor Commission must apply a ‘public interest and community impact’ test when determining an application. The various objectives to be considered include the minimisation of harm or ill health through the consumption of liquor, that public order and safety must not be jeopardised, that there is responsible sale and consumption, and suitable training for each person involved in the business. The Commission must also consider the density of licences and volume of liquor sold in the relevant community area. It is not only the Commission that must apply this public interest and community impact test. There is now an obligation on the applicant to show that their application meets the objectives of the test. In explaining the rationale for putting an onus on the licence applicant, the Riley panel members pointed out that the sale of alcohol should be seen not as a right, but a privilege, and one which should be supported ‘only if the community is protected from harm by sensible controls’. A liquor licence must not be an easily-obtained licence to print money, and requiring the applicant to establish their case in this way sends a strong message to that effect. If you want to sell alcohol to the public, you need to meet high standards. The establishment of the Liquor Commission means greater transparency in the consideration of licensing matters. Combined with the rewriting of the Liquor Act, as recommended by the Riley review, it will hopefully provide us with a fair, straightforward and updated approach to the regulation of alcohol. How refreshing it is to read of sensible alcohol regulations that for once, put public health and safety ahead of alcohol industry profits and political expediency. The test comes in its timely application and superior court challenges dominated by cashed-up BIG alcohol players.